Mario Caruso is a research assistant at the Institute of Cognitive Science and Technologies (ISTC) – Semantic Technology Laboratory (STLab) of the National Council of Research (CNR), since 2016. 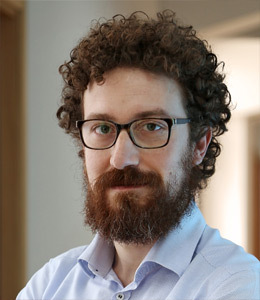 He received his PhD in Engineering in Computer Science from Sapienza Università di Roma, where he was a research assistant from 2010 to 2015. During his academic experience, he focused on Smart Homes, in particular their role in Energy Management Systems (EMS) and in supporting disabled users in Activities of Daily Living (ADL). He has been involved in several research projects including: BrIndiSys (Brain-computer interface devices to support individual autonomy in locked-in individuals), funded by the Italian Agency for Research on Amyotrophic Lateral Sclerosis and SM4All (Smart Homes for All) an European Union Specific Targeted Research Project. In the last years he has been the Chief Technical Officer, and co-founder of Over Technologies, an innovative start-up in the field of Smart Homes. Micro-accounting for Optimizing and Saving Energy in Smart Buildings, Sora D, Mecella M, Leotta F, Querzoni L, Baldoni R, Bracone G, Buonanno D, Caruso M, Cerocchi A, Leva M, In Advanced Information Systems Engineering Workshops - CAiSE 2016 International Workshops, Ljubljana, Slovenia, June 13-17, 2016, Proceedings, 2016. On the Black-Box Stand-by Recognition Strategies in Smart Homes Environments, Caruso M, Cerocchi A, In 12th IEEE International Conference on Embedded and Ubiquitous Computing, EUC 2014, Milano, Italy, August 26-28, 2014, 2014. Energy Management in Smart Spaces through the OPlatform, Caruso M, Mecella M, Cerocchi A, Forte V, Querzoni L, Baldoni R, In 2014 International Conference on Intelligent Networking and Collaborative Systems, Salerno, Italy, September 10-12, 2014, 2014. Correlating power consumption and network traffic for improving data centers resiliency, Baldoni R, Caruso M, Cerocchi A, Ciccotelli C, Montanari L, Nicoletti L, In CoRR, volume abs/1405.2992, 2014. Benchmarking smart spaces through autonomous virtual agents, Caruso M, Leotta F, Mecella M, Vassos S, In International conference on Autonomous Agents and Multi-Agent Systems, AAMAS '13, Saint Paul, MN, USA, May 6-10, 2013, 2013. My-World-in-My-Tablet: An Architecture for People with Physical Impairment, Caruso M, Cincotti F, Leotta F, Mecella M, Riccio A, Schettini F, Simione L, Catarci T, In Human-Computer Interaction. Interaction Modalities and Techniques - 15th International Conference, HCI International 2013, Las Vegas, NV, USA, July 21-26, 2013, Proceedings, Part IV, 2013. Synthesizing daily life logs through gaming and simulation, Caruso M, Ilban Ç, Leotta F, Mecella M, Vassos S, In The 2013 ACM International Joint Conference on Pervasive and Ubiquitous Computing, UbiComp '13, Zurich, Switzerland, September 8-12, 2013 - Adjunct Publication, 2013. User profiling and micro-accounting for smart energy management, Caruso M, Mecella M, Baldoni R, Querzoni L, Cerocchi A, In The 11th ACM Conference on Embedded Network Sensor Systems, SenSys '13, Roma, Italy, November 11-15, 2013, 2013. Service Ecologies for Home/Building Automation, Caruso M, Ciccio CD, Iacomussi E, Kaldeli E, Lazovik A, Mecella M, In 10th IFAC Symposium on Robot Control, SyRoCo 2012, Dubrovnik, Croatia, September 5-7, 2012., 2012. The homes of tomorrow: service composition and advanced user interfaces, Ciccio CD, Mecella M, Caruso M, Forte V, Iacomussi E, Rasch K, Querzoni L, Santucci G, Tino G, In EAI Endorsed Trans. Ambient Systems, volume 1, 2011.